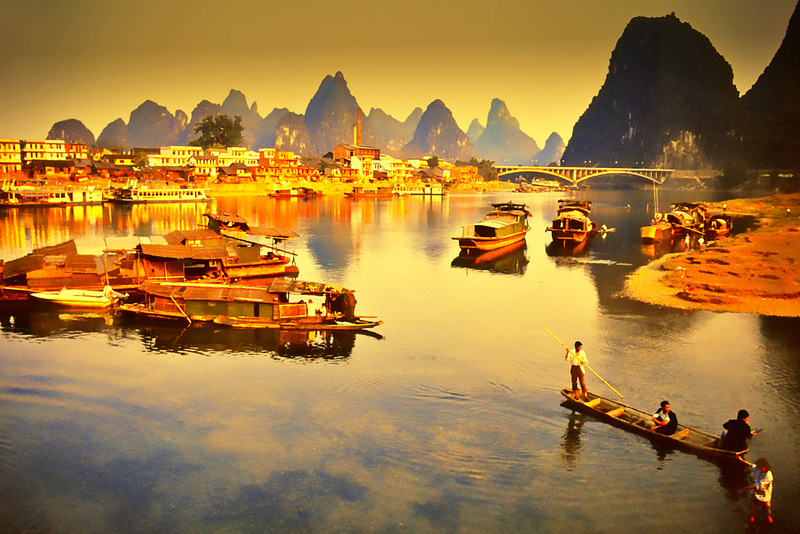 Once you’ve gained the tenacity to put yourself out there, Guilin is home to almost five million people that are ready and willing to help you practise. Very few people in the city speak anything other than Chinese, which means you can wholly immerse yourself into the culture and have no choice but to use your new language. Guilin is celebrated as one of China’s purest bastions of traditional culture, and here are some of the city’s best destinations for practical learning and cultural exploration. With shops decorated in ancient Chinese styles, Zhengyang is 666 kilometres long and stretches from South Binhu Road to East Jianfang Road. Selling everything from teapots and jewellery, to handcrafted souvenirs, you'll be able to test your bartering skills through the racket of Guilin’s busiest retail areas. Approximately five minutes from the city centre, you’ll find Xicheng’s famous night market. There are over 200 shops to browse to your heart’s content. A popular souvenir is the Chinese seal which you can have imprinted with your name in Chinese. Test your numerical skills and try and work out your change, as you add up your many purchases. Located next to the Seven Star Park, Longze Teahouse crafts superb cuisine without the heavy price tag. Downstairs is the main dining hall, but there’s also a private upstairs area for a more intimate feel. Best of all, there are books available for you to read whilst you enjoy your meal, so you can test your ordering, describing and reading skills. Be sure to indulge in a Tea Banquet whilst you’re in town too. In a city with few options for vegetarians, Nengren comes to the rescue. Attached to a Buddhist Temple, the restaurant is well-known for its reasonable prices and delicious variety of dishes. Staff members speak little to no English, which makes it a brilliant place to practise your new language. If you’re struggling, you can always rely on the detailed picture menu so you won’t go hungry if you forget the Chinese word for dumplings!